Cryo Bio System India has also had a busy summer with a participation to the 7th International Congress of the Academy of Clinical Embryologists (ACE) in Goa, and the organisation of several workshops all over India with the IFS (Indian Fertility Society). ACE Goa 2018: 7th International Congress of the Academy of Clinical Embryologists (ACE), held at Holiday Inn Resort Goa, 17-19 August 2018. More than 800 clinical embryologists participated in this congress and Cryo Bio System India was a gold sponsor of the event. 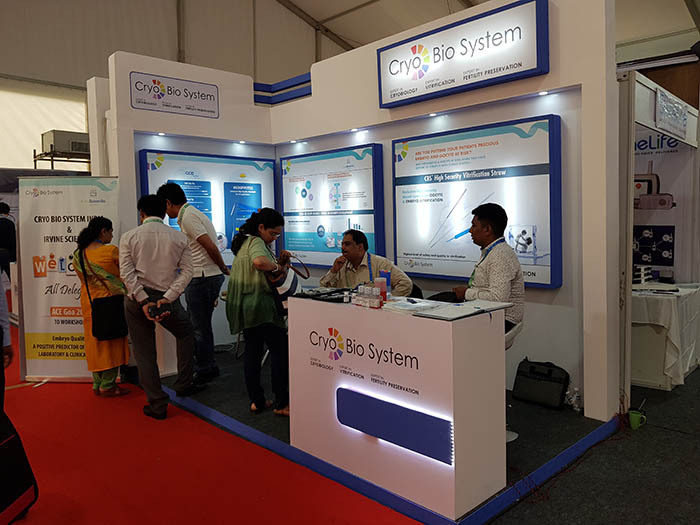 Cryo Bio System India displayed the company’s products on the booth and also sponsored & organised a workshop on August 19th. The participants were very enthusiastic and responded positively to this workshop. Overall, it was a great and successful event for CBS India. Cryo Bio System India in association with IFS (Indian Fertility Society) has taken the initiative to organize five CME (Continuing Medical Education) workshops on “Cryobiology in Assisted Reproduction” in different states of India. Cryo Bio System – IFS, Nagpur: The first CME workshop was held in Nagpur on August 5th and got quite a good response, more than 30 delegates participated in this workshop. There was an excellent participation and audience interaction. At the end of session, Dr. Pranay demonstrated the use of the HSV (High Security Vitrification) straws and explained the advantages of closed systems over open systems. 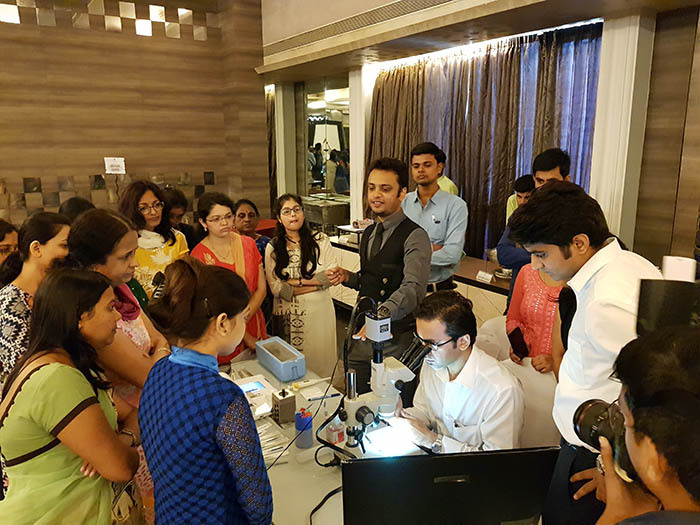 Cryo Bio System – IFS, Jalandhar: The second CME workshop was held on September 9th in the Ramada Jalandhar Hotel, Cryo Bio System India sponsored the whole event. More than 65 delegates attended this conference workshop. Dr. Pranay and Dr. Sushma Ved from Delhi were the main speakers and discussed cryobiology. At the end of the session, Emb Kumawat demonstrated the use of HSV straws and explained how safe and easy their use is. Cryo Bio System – IFS, Lucknow: The third CME workshop was held on September 15th in the Lucknow Silvate Hotel. A total of 52 clinicians and embryologists from nearby cities participated in this event. The concept of cryopreservation of gametes as well as embryos was discussed in details and the advantages of vitrification over slow freezing was emphasized. Emb Kumawat demonstrated the use of HSV straws for the participants. The two last workshops will take place on October 7th in Kochi with Dr. Kunjimoideen, and October 14th in Telangana with Dr. Roya Rozati. Join us at ESHRE 2018, Barcelona !